Am I going to use this aircraft for business or pleasure? How many passengers will typically need to be onboard? What is the typical routing I expect to fly? Is speed or efficiency more important? Do I need to get in and out of small regional airports or can I use larger airports? Do I need the newest technology and creature comforts, or will an older used aircraft be acceptable? Is my mission going to stay the same for the next 10-15 years? Aircraft make the most economic sense to hold on to for about 15 years. If you know your mission is going to change before then, a financing solution with a shorter term may be something to consider. It might make sense for you to consider an operating lease for a 5-7 or even 10-year term. What will my plane be worth in the future when I go to sell it? Residual value should be a key part of any purchasing decision. If you are wondering what the aircraft markets will do in the future, an operating lease offers a built-in buyer at the end of the lease, which means that when you are ready to upgrade you don’t have to worry about what your aircraft is worth. Am I okay with my aircraft ownership being public knowledge? Privacy is not something to be taken lightly. The FAA has very clear rules and regulations around aircraft ownership records. If privacy of ownership is important to you, your company or family, an operating lease places the holder of the lease as the owner of the aircraft and therefore in all public records, not you. 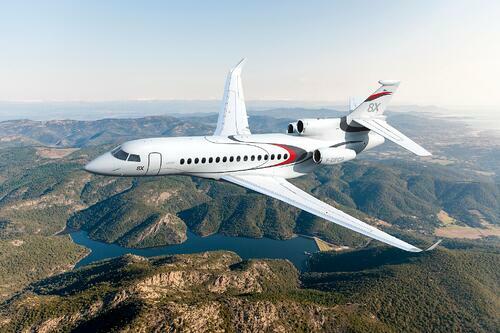 Is owning a business aircraft really the most economical solution? Tying up capital in a fast depreciating asset may not make much sense if you are trying to grow your business. There is no sense in letting a non-core asset sit on your books and bog down your capital structure. With an operating lease, you can preserve capital and get the most out of your aircraft ownership experience. Connect with one of our business aviation experts about your next aircraft and whether an operating lease is right for you. Let's talk.